Turkish Funeral Doom band Xoresth show some potential, but don't quite get there this time. 'Vortex Of Desolation' is the first brush I've had with Turkey's Xoresth. Indeed, I don't honestly remember ever listening to any other Turkish bands within the Metal spectrum, which made this release an interesting one to sample. On an included inlay that was more designed for a cassette case than for a CD case, it stated that the music would appeal to fans of Evoken, which further piqued my interest. Now, I'm not prepared to say that Evoken fans definitely won't like this release but suffice to say that I struggle to find the parallels between Xoresth and Evoken. 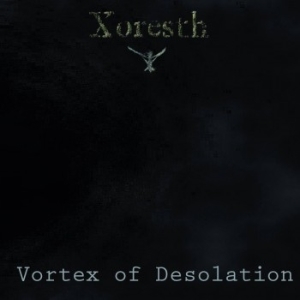 The first impression that 'Vortex Of Desolation' left me with is that the band were trying to emulate Denmark's Nortt rather than America's Evoken. They deployed the same type of approach with slow but powerful Funeral Doom, desolate vocals, and solemn but atmospheric backing. The trouble is that I don't think they were quite good enough to pull it off. For me, the harsh vocals aren't deep enough to work well in this kind of music. That's not to say that they aren't good vocals; they're just not well-suited to this atmospheric bombardment. I think that the vocals would shine more with a "tortured" approach to their Doom Metal. Furthermore, I feel like the band have rushed their songs on this release. 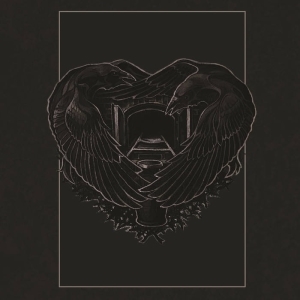 To make Funeral Doom of this nature successful, I think that the composition of each track is even more pivotal than usual because there's nowhere to hide when everything on each track is designed to be as clean and transparent as can be. Therefore, when I hear keyboards relentlessly playing throughout each track rather than interludes, it almost sounds like they're vying for centre stage with the vocals, and that's not how they should be played, in my opinion. They're supposed to accompany the music and even send tracks in another direction, not get lost in the mix, which is basically what I found happening all too often. In terms of production, I thought this release was a bit too "mashed up", if you will. Again, if they're going for what I'd call a Nortt approach, they need to be very precise with their production and they haven't been. To me, it sounds quite sloppy, almost as if the band didn't know what they wanted to be the focal point of each segment. Additionally, I thought that the transitions between tracks were quite poor. It felt like there was a section missing between track one and two, given the almost contrasting styles that materialised from one second to the next. Between track two and three, it felt like there was an accidental period of silence that was more than merely providing a level of drama. As for the final track - it felt like an exaggerated outro more than an actual track. On the one hand, I am glad that a band has valued Nortt (directly or indirectly!) to the same level that I do. I'd love to hear more bands successfully emulating the Danish project because I find that type of music very powerful and enjoyable to listen to. However, I don't think that Xoresth have done a good job of that here. 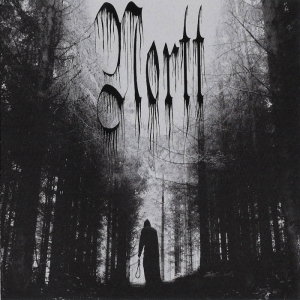 Their minimalistic approach doesn't complement the atmosphere that they're attempting to generate, and the harsh vocals don't fit the music either. 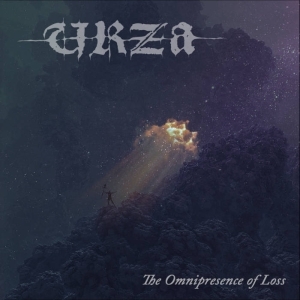 I don't want to be too harsh on the Turkish band but this is one of my favourite types of Doom Metal to listen to, and this band hasn't done it very well. They're not that far off, weirdly enough, but this kind of release is more reminiscent of a first take than a finished product. There's definitely room for improvement on 'Vortex Of Desolation', and I certainly hope they can make that leap in their next release.